Where does The Killer Asteroid & the Bicycle & the Jet Ski &... rank among all the audiobooks you’ve listened to so far? In the middle of the pack, but that pack is very good with a small standard deviation so it'll be just fine. 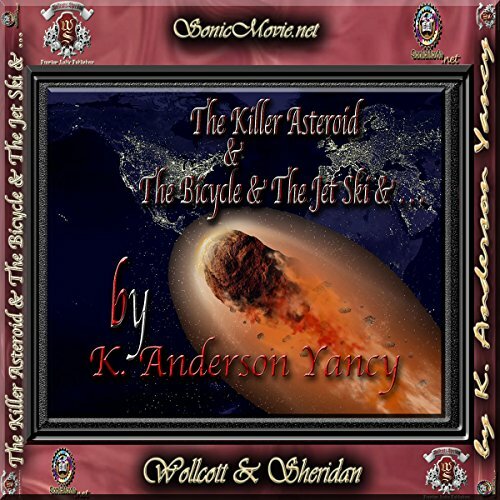 What was one of the most memorable moments of The Killer Asteroid & the Bicycle & the Jet Ski &...? The entire thing was a huge shot of action and humor so it's hard to really pick anything out of the bunch. Which character – as performed by K. Anderson Yancy – was your favorite? The main character which is the source of all of the events and humor and different takes on the coming apocalyptic situation. I got this in exchange for an honest review. It's more reminiscent of an action movie than a short story and I found it quite entertaining if a little exhausting trying to keep up with everything. Recommended.